When you think of barcodes, the last industry that comes to mind is healthcare. But did you know that barcodes are used in every aspect of the patient experience? From the moment a patient walks in the door to the moment they pick up their medication at the pharmacy, healthcare professionals use barcodes to track all of the patient's medical information. According to Healthcare Innovation, barcode technology is an integral part of keeping patients safe. They help streamline the admittance process, track medication, and identify patients throughout their entire stay at the hospital. Barcode wristbands are often created at the point of admission and are used to continually update the patient's record based on their needs. That way, when a nurse scans the barcode, they will see the patient's medical records, medications, and specimen samples needed. Barcodes also help to update medical records automatically when the nurse scans the wristband and the medication is administered, reporting the dosage and time of receipt. Barcodes have a variety of use cases in healthcare. Whether it's viewing a patient's medical record, reading through previous doctor's notes, or accessing medication information, barcodes help doctors and nurses alike identify and help patients in their care. BCMA is used in healthcare facilities to control inventory of prescription medications. 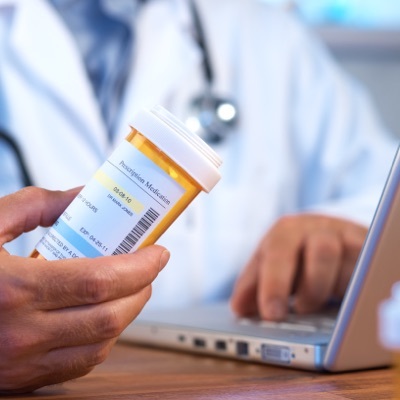 Primarily put in place to avoid human error, barcodes help healthcare staff ensure that the correct patient is receiving the right medications at the right times. Drugs in the hospital are also labeled with unique barcodes under this system. When a patient under the hospital's care is prescribed medication, the barcode for that patient is scanned and their medical record with the prescription is electronically delivered to the hospital's pharmacy. From there, the pharmacy scans the barcode and obtains the prescription from the medical record for the patient. That enables them to know the type, strength, and dosage of the drug before sending it to the patient's floor for administration by the nurses. Not only do barcodes keep patients safe and track their medication records, they also help staff manage inventory. It's no surprise that hospitals manage millions of dollars in medical supplies on a daily basis, which makes inventory management a grueling process. According to Bar Code Direct, barcodes can track a piece of equipment back to the source in the event that it is damaged. They can then request a refund or replacement from the distributor if it was damaged during shipping. However, if it was damaged while in use, barcode technology also enables staff to track the last person who used the equipment with which patient. Barcodes are essential in tracking inventory and ensuring that each patient receives the proper treatment. Barcode technology can even prevent a lawsuit by recording all treatments and medical equipment used on a patient during their stay. There are several solutions for barcodes on the market, but only one that's backed by leading technology. Accusoft's Barcode Xpress enables users to read, write, and detect more than 30 types of barcodes with speed and accuracy. In fact, you can even read broken or damaged barcodes easily. Not many of our competitors can say that. Our technology is easily integrated into your healthcare application with just a little code. To learn more on how Barcode Xpress can help you solve your healthcare needs, visit the product overview.